I have had a wonderful time this weekend, at a Stamp Camp organised by two local Stampin’ Up! demonstrators Charlene & Paula. 25 women spent the whole weekend, with another 11 joining in as ‘day girls’ for the classes on Saturday. The weekend was filled with learning new things, getting to know new people, and lots of laughter. 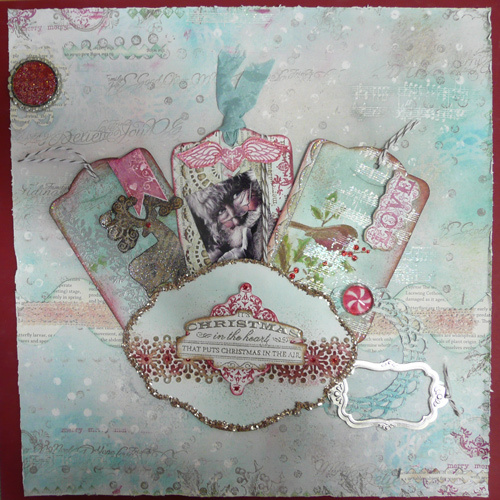 I have to confess to feeling completely overwhelmed to start with – but after I had made the background I felt better! 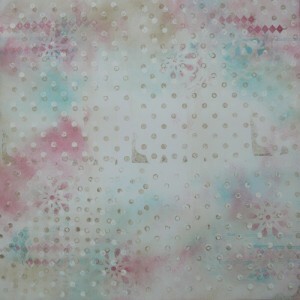 Paula took the next class, and we learned the sponging technique that she uses to create lovely landscape cards. Charlene’s class (on Sunday morning) introduced us to watercolour crayons, aqua-painters and blender pens. I gotta get me some of those now that I know what to do with them! 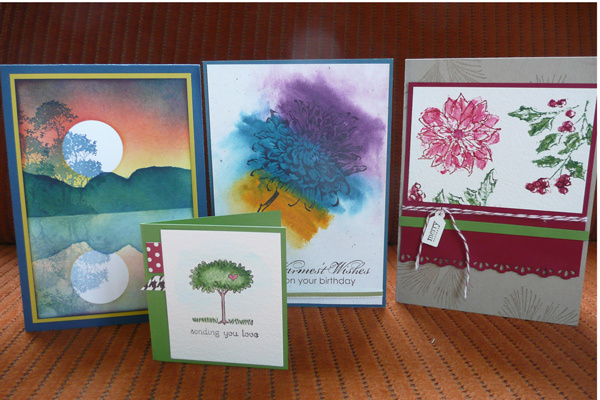 The card from Paula’s class is on the left, the three on the right from Charlene’s class. I am very pleased with how well they turned out, and if one of them finds its way to you, you’ll know that I had a lot of fun while making it. I had taken along my Project Life/Photo A Day album which was several weeks behind, and this is what I worked on in the ‘free creative time’ on Friday night and Saturday. I am pleased to say that the album is now right up to date. Most of the time I like this project , but I really love it when it’s up to date! I’m now ready for the week ahead, recharged with lots of creative energy. 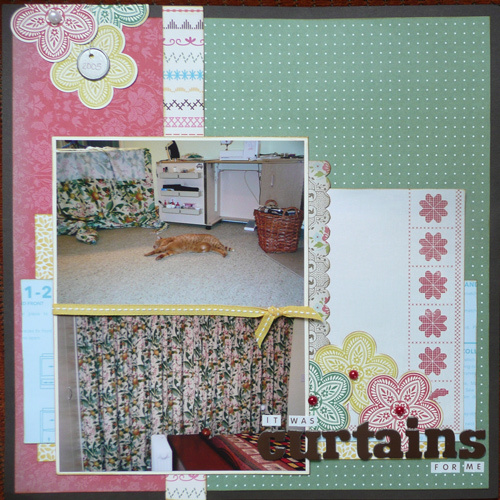 This entry was posted in I'm creating and tagged creativity, scrapbooking, Stamp-Camp by Margot. Bookmark the permalink. Sounds like a fab weekend! I love what you created too. 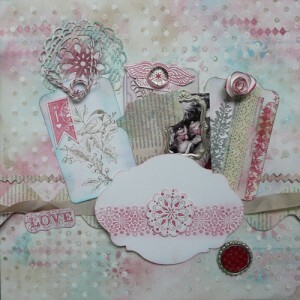 I love your take on Shimelle’s layout and you have lots of room for journaling. The colors fit your photos well.